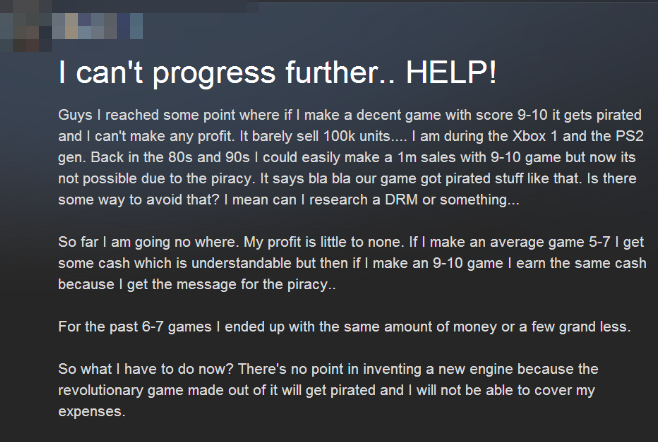 Game piracy seems to be a never-ending story. Getting accurate or at least approximate picture of piracy in video games industry in a global space is nearly impossible. However, some estimates are talking about losses of total revenue of gaming industry on a level of $74 billion only in 2016. On the other end, EU Commission says that there is no evidence that piracy affects video games sales. This article was created on basis of observation how many developers or even websites/platforms today do not care about protection by any means, or use very weak protection mechanisms due to ignorance. Even if we start to ignore piracy on the side of ending users, we can find many cases of piracy in a case of re-released piracy versions of the same games on Google play (with changed appId only), or find big gaming websites providing pirated versions with own logos/ads further. Typical example of developers having problems is Russian gaming website with around 29 millions monthly visits vseigru.net or Facebook page g55.co running game apps on Facebook illegally. Looking for more info about the anti-piracy mechanisms? See separated article at IGN.com. If you do not use any verified service or SDK solving piracy/steal protection of your game or app, you should think about following points and implement them before the release. Host authentication: If your game runs in a browser via some kind of internet protocol, you can simply check host domain. If your game is offline, you can verify existence of certain file on a disk. Unfortunately, a simple check is very weak protection. Either your files are compiled e.g. by Unity, or even worse in a readable form, everyone can open the source codes and rewrite there a certain part to make the protection non-functional or non-active. This must be additionally protected by using cryptography (hash/encryption) to make all the parts regarding protection non-readable and ideally extra-secured by other checks. Client-server architecture: If your games are using server-side-services for user authentication, data management, networking and others, you can attach privacy protection to some of the services. E.g. every user can sign his communication with game server with a unique key (generated for every game launch individually). Again, only be sure, that an attacker cannot rewrite your server address to his own. Hide your core code by obfuscation. Comfortable service: Provide your game or app with very easy and safe way to get and install it. Correct price: With increasing price, the interest to get a piracy version grows. Rewards system: Reward players for playing legal version. GameArter has natively implemented combination of all 6 points mentioned above. All games are using authentications, server-client architecture, running natively directly in a browser by a safe way on a secure protocol, for free, and users are rewarded with GRT token for playing. GameArter is also checking the internet to be able to identify eventual games leak. Did not you implemented a protection, or did somebody overcome it? No worry, there is a possibility to claim copyright of your games. Certain website: Every website should contain a contact to administrator. Google services: See more in the link. Facebook: See more in the link. Yandex: See more in the link.